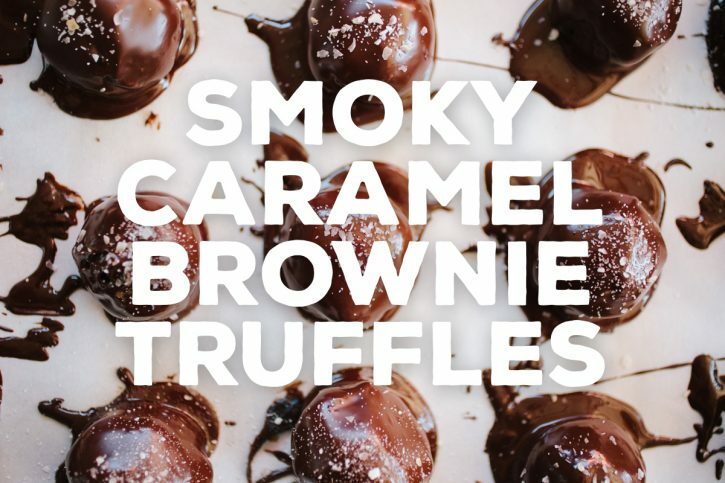 Brownie Truffles are amazing, and this recipe takes SIMPLE ingredients (boxed brownie mix?!) and turns them into something so impressive, that your friends and family will think you’re a world-class chocolatier! The brownie part is easy. Anyone can crank out a batch of boxed brownies. Add a couple more ingredients, cream and caramel bits transforms the brownie into the rich chocolate center of the truffle. And then we add smoke. Why not, right? The PolyScience Smoke Gun is a great way to add a touch of smoke to your foods quickly and without a firing up a smoker. 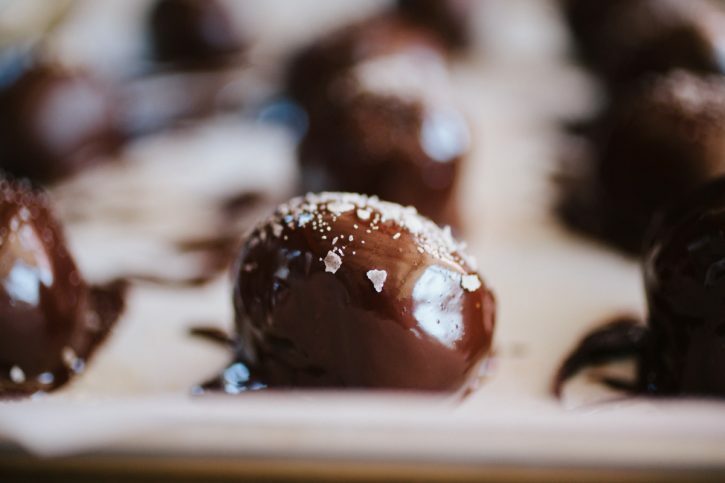 Once the smoky chocolate is melted down, use a fork to dip the truffle filling and place on a sheet pan. Just a sprinkle of applewood smoked finishing salt, and they can be chilled until you’re ready to serve them! A fun and simple recipe that will wow your friends and family. Mix the brownie mix, egg, milk and melted butter. Whisk to combine. Transfer to an oiled Lodge 12” cast iron skillet. Bake until just cooked through, about 30 minutes. Cool to room temperature. Crumble the brownie up in a mixing bowl. Add the caramel bits and heavy cream and mix well. Scoop out 2 tablespoons at a time, and roll into a ball. 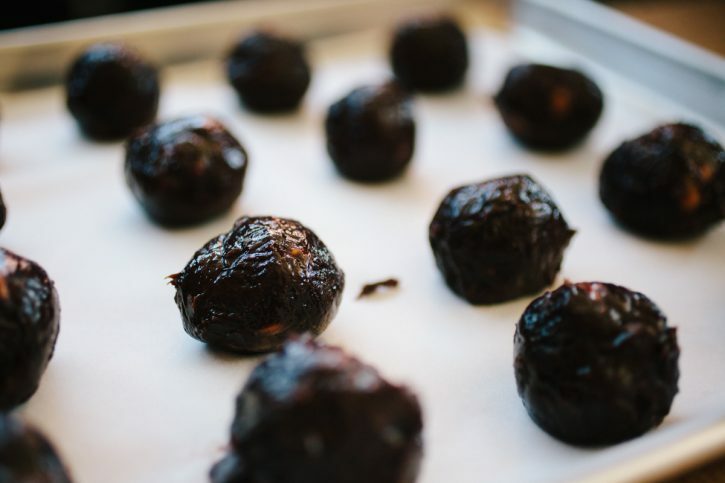 After rolling all of the brownie mixture into balls, place on a sheet pan and chill in the fridge. Place the chocolate chips in a small bowl and cover with plastic wrap. Using the PolyScience Smoking Gun to fill the bowl with smoke. 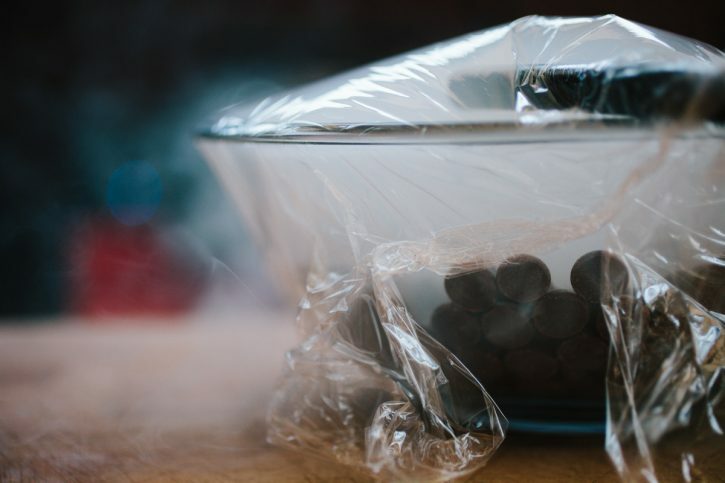 Close the plastic wrap and allow the smoke soak in for a few minutes. Repeat the process one more time. 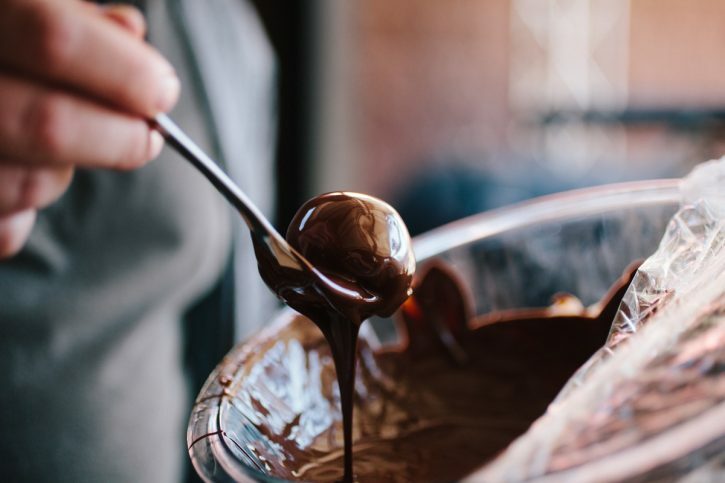 Place the bowl over a small sauce pan of boiling water, to gently melt the chocolate. 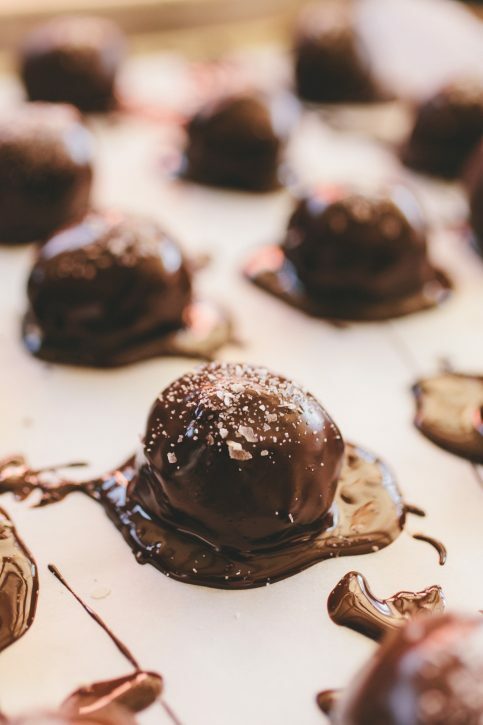 One by one, coat the brownie balls in the melted chocolate. Place them on a parchment lined sheet pan, and immediately sprinkle with Noble Saltworks Applewood Smoked Flaked Finishing Salt. Chill, once again, in the refrigerator before serving.